The Stöckli ski company was founded in 1935 and is the last remaining ski manufacturer in Switzerland. The Stöckli family hve owned the company since it’s inception but have now sold their shares to the Kaufmanns, another family of Swiss entrepreneurs. Beni Stöckli senior and Rita Stöckli are said to move out of the supervisory board, on which the Kaufmanns, a long-time minority shareholder, have had a seat for many years. Managing director Beni Stöckli junior will remain in place until a successor has been found. The company was founded in Switzerland in 1936. They introduced a wooden ski with a fluted top that left a ridge down the middle. 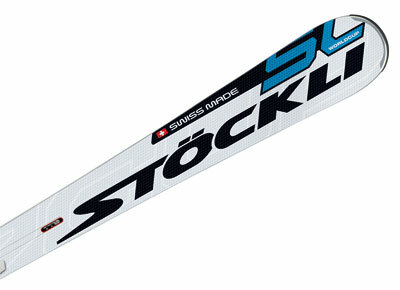 Stockli was one of the earliest companies to introduce a metal laminate ski, the year after Head. The new owners intend to push forward the company’s summer business, which is based on the bicycle category where Stöckli has made efforts to make inroads into the e-bike sector over the past few years. Last year, Stöckli had total sales of 65 million Swiss francs (€53.2 million) last year. The company operates 15 corporate stores around the country.